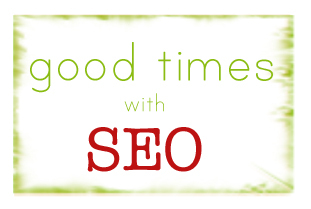 Tracy Petrucci: SEO Tip: How Search Friendly Is Your Site? Is your website all flash and photos? If so, it might not be getting all the attention it deserves. One of the ways your website is found is by the use of keywords within the pages, especially important for the homepage. A website that is coded with HTML versus a grid of images, will have a better chance of being discovered since there is increased ability to crawl the site for the keywords people are searching for. Again, search engines only index text. If there is no text on your homepage, you can see how this creates a find-ability problem. Some search engines are getting more advanced and can find the captions for photos or some file names, so renaming photos to contain keywords will help a little. You can read my post SEO Tip: Renaming Photos for more clarity on this. Don't worry, you won't have to create an all text page to achieve SEO success. Use a combination of photos, text, video, or any other methods pertaining to your marketing strategy to optimize the page and create something that is engaging. Stay tuned for a post soon on picking the best keyword phrases for each page.